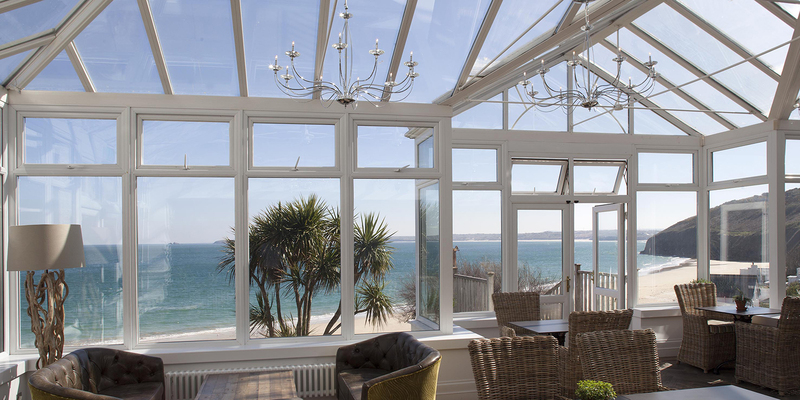 On the picturesque Cornish coastline, Carbis Bay Hotel has a dramatic spa setting. With pebble-lined walls, white-wash woods and cool, earth furnishings, C-Bay Spa is a serene place for a seaside spa escape. The spa is set over two levels, each with views over the Atlantic Ocean. There's an outdoor pool and hot tub, sauna pod, relaxation lounge and a VIP treatment suite on the beach. The treatment menu uses Voya and Aromatherapy Associates products to deliver a range of holistic and beauty-based spa therapies. 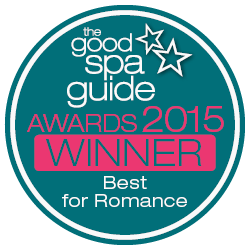 "This is the 3rd time myself & my fiancé have visited for a day Spa with treatments. It’s the highlight of our holiday week ???? Love the views, love the comfy sofas & fire, enjoyed the jacuzzi, treatment rooms are cosy/relaxing and the friendly and professional welcome from the spa team. My fiancé said it was the best massage he had ever had & I agree - Kerry & Mary we’re both fantastic masseuses. Abbie did my manicure & was lovely - manicure excellent! Veronica was so calm & helpful with everything from fixing the heaters, making great coffees to lunch service & afternoon tea & prosecco delivery. Thank you. Lunch in the outside pod with the rain tinkling on the roof & the heaters warming us was perfect - fab lunch too! Great day! A little note for improvement - Shame the sauna wasn’t already heated up - had to wait for it to be switched on... but was lovely when eventually heated up. Only wish the changing rooms were bigger with some privacy when changing & somewhere to sit when drying hair etc - there were 4 of us trying to shower & change in a tight space so rather unconfortable this time & it would be really great if there was some body moisturiser in the changing rooms as other spas we’ve visited - luckily remembered to bring my own as wasn’t any provided last time either). " "Wonderful, beautiful spa, stunning views over the sea, it reminded me of the Caribbean. Very professional and friendly staff, made me feel very relaxed and pampered. Will definitely be visiting again." "Brilliant place to stay first class all round, spa pool delightful x"
"Amazing spa,lovely beauticians that give the best pedicures with a breath taking view of Carbis bay,will be returning next year for a little treat again"
"We went for a special offer last winter and this included lunch. Were brought wine in the hot tub and the view of the pool and the sea beyond was delightful. Very quiet and relaxing with very few people around"
There are four dining options at Carbis Bay. 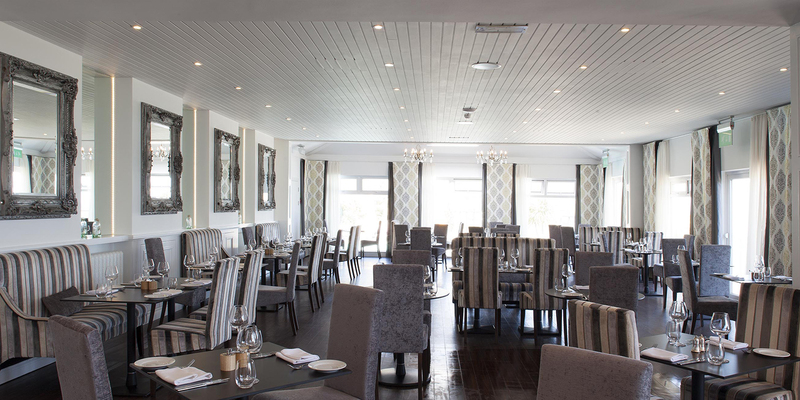 The Sands Restaurant offers fine dining, The Beach Club is a relaxed space just off the beach to enjoy a cocktail and heartier food, The Lower Deck has a tapas-style menu and The Conservatory offers informal dining include lots of chilren's options. 47 hotel rooms next to the Hotel's blue flag beach. Open seven days a week from 9am to 7.30pm. Treatments are available from 10am to 5pm.